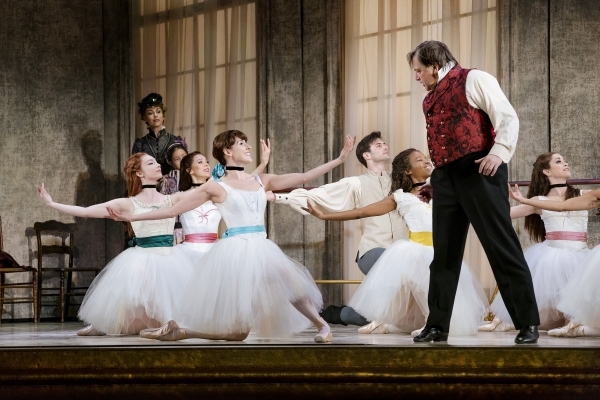 Premiered at Kennedy Center in 2014 with the title ‘Little Dancer’, ‘Marie, Dancing Still’ is finally here at 5th Avenue Theatre to unveil the long-awaited collaboration among Lynn Ahrens, Stephen Flaherty and Susan Stroman, and to reveal the mysterious identity of the 14-year-old ballerina who inspired Edgar Degas to create his world-renowned sculpture, Little Dancer. Telling and re-imagining the true identity of Marie van Goethem, a little rat (dancers of the lowest level) at the Paris Opera Ballet, ‘Marie, Dancing Still’ takes its audiences into the streetside of Paris, the rehearsal rooms of the Ballet, and the sweat-filled laundry shop run by earning women, and paints a luscious tale of a tough heroine surviving against all odds. Marie (Tiler Peck) is a girl of fourteen, and lives in a shabby place with her laundress mother and a little sister who also dreams of becoming a famous ballerina at the Paris Opera Ballet. Life does not favor this young girl who dreams big, but she is determined to thrive and achieve a dream that is only ever done by girls with rich fathers. To survive and to follow her dream, she steals, works and saves. However, her life is forever changed, when she becomes a model for the Impressionist Edgar Degas; finally, someone seems to pay attention to this little rat, and a friendship seems to be blooming. Unfortunately, their most important collaboration goes wrong for the both of them, and only the sculpture is immortalized. 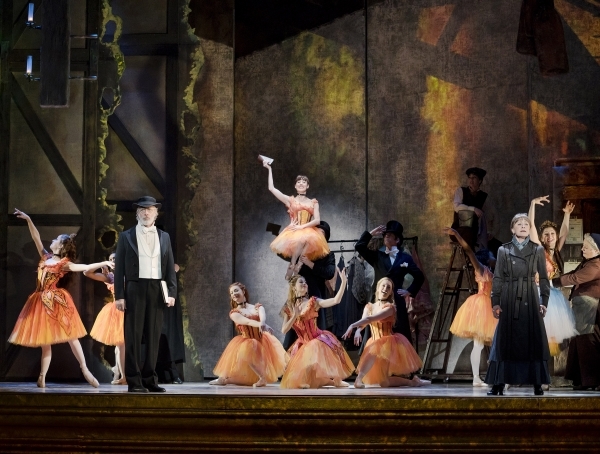 Painted by Degas’s own works and the most lush colors, this new musical is the perfect fusion of art, ballet and music theatre, that brings about the latest three-dimensional heroine of the music theatre. 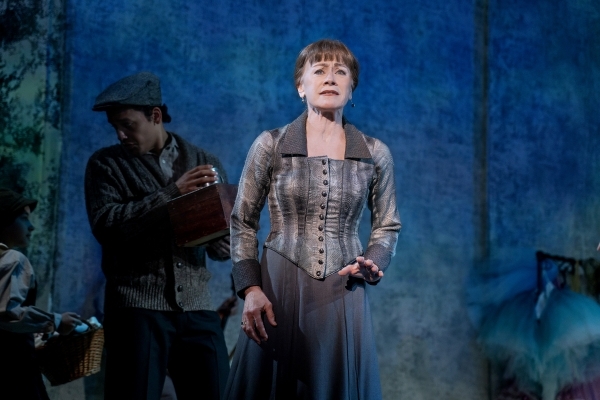 Written by the long-time collaborator and broadway visionaries Ahrens and Flaherty (Ragtime, Once On This Island, Anastasia), ‘Marie, Dancing Still’ is a musical that is destined not only for Broadway, but also for those theatres that are ready for something new and modern. The music carries audiences to the grand ballet stage, the ballerinas’ dressing room and a salon where rich and poor men alike enjoy themselves; ‘they (Ahrens and Flaherty) have an uncanny way of writing ballads that just make me want to dance,’ Peck commented on the music. The set too changes and blends like the pigments on Degas’ palette, and the lighting keeps our eyes twirling in the feast of art. But what helps to make ‘Marie, Dancing Still’ into a genius piece of musical is the stellar cast of the opening night. 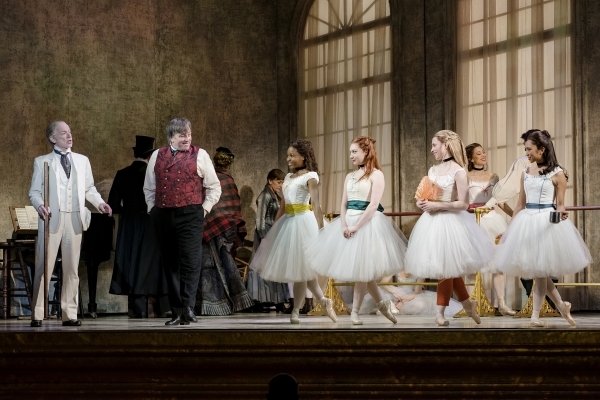 The ballet star Peck (principal dancer at New York City Ballet-NYCB) teams up with Terrence Mann (Degas) and Louise Pitre (Adult Marie) to create a night of pure music and heart. A broadway baby (The Music Man) before she became world’s top ballerina, Peck gives us a Young Marie who is talented but poor, tough but vulnerable, and most importantly, a strong girl whom we can all relate to. 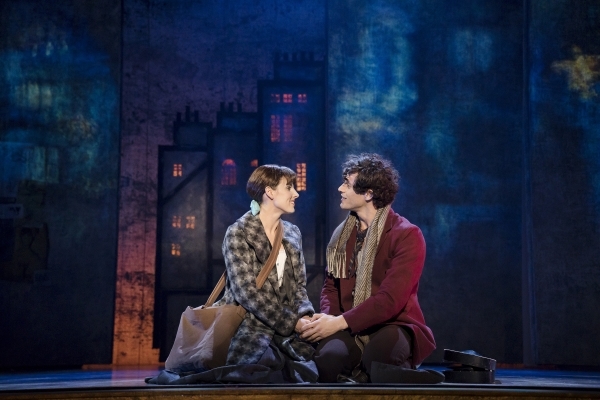 Paired with Peck’s witty, and heartfelt Marie, Mann gives back a flawed but kind Degas, and Pitre evolves into a much more mature but raw Marie, and the amount of heart and soul in her voice and performance is one major reason audiences should and will go back to watch this musical again. Though the plot of this musical seems to revolve around the famous sculpture, it is in truth much more complicated and layered. Hidden behind the sculpture is the friendship between Marie and Degas. A girl who can only depend on herself and who walks the street of life with her head held high meets a famous artist whose eyesight is failing and who is only ever caged in that little studio of his, and we see how a most unlikely friendship is born and eventually torn. Their biting and witty remarks bring laughters to the audiences, and them finally finding another being who sees them as diamonds touch our hearts. Their friendship is the plotline, and they become someone whom we wish we have in real life. But other than these two main characters, we encounter so many other characters who are as colorful, and witness so many more scenes that make the entire audience members hush. The magic of this musical rests on how easy we can all connect to these characters, and how easy we find ourselves facing or having faced those same experiences of romance, heartbreak, abuse, sexism and most of all, being silenced or having no voice. 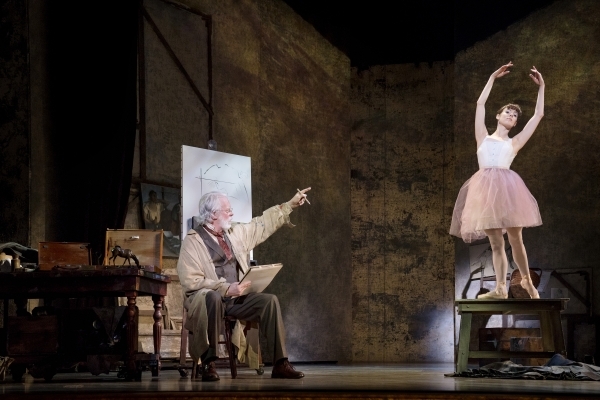 ‘Marie, Dancing Still’ is a show about art, ballet and music theatre, but ultimately, it is a musical about survivors, may it be the sculpture, the friendship between Degas and Marie, Marie’s mother or Marie herself. It further brings the sculpture to life, and it shows all audiences, especially those young girls, how we can all dream big, and stride across the world with our voices loud and clear. Previous articleThrough The Looking Glass: The Burlesque Alice In Wonderland runs through this Sunday!